This adds Ruby language support to Visual Studio 2017 Update 6. Any Ruby file get's syntax highlighting in the editor. Basic auto completion based on symbols in the same file is provided. 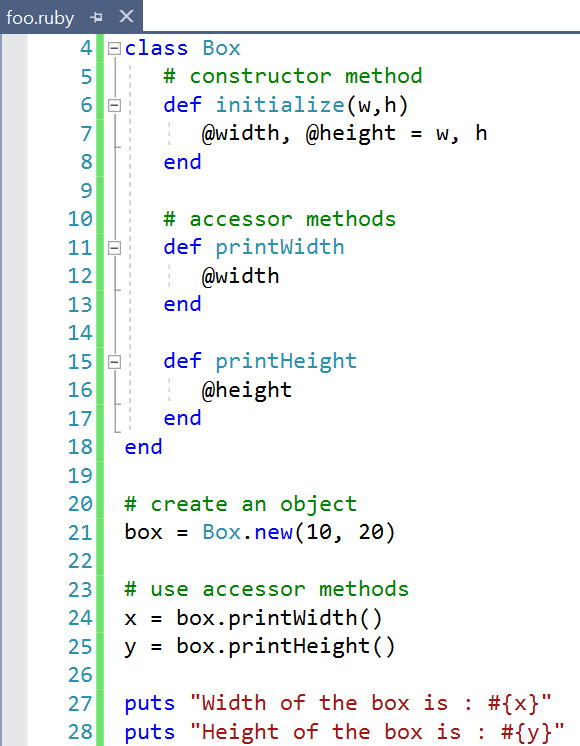 Collapse and expand the code baesd on indentation levels. Hit CTRL+K,C to turn the selection into a comment and CTRL+K,U to remove a comment. This extension is based on the Ruby extension for Visual Studio Code.